2017 Part D prescription drug plan premiums are expected to average $34 per month. This represents a $1.50 per month increase over the average 2016 Part D premium. There are approximately 55 million Medicare beneficiaries and all are eligible for Part D prescription drug coverage. The Medicare Modernization Act of 2003 established this voluntary prescription drug program for people on Medicare. People over 65 and enrolled in Medicare as well as those under 65 enrolled due to a permanent disability have access to Part D drug coverage. Before you heave a sigh of relief you should know that there is more to Part D costs than the monthly premium. Unless you are entitled to extra help due to a low income you have the option to obtain your 2017 Part D coverage either by enrolling in a stand-alone plan or by enrolling in a Medicare Advantage Plan that includes drug coverage. If you are enrolling in a stand-alone Part D plan you’ll have the option of choosing a plan with either a basic or enhanced Part D formulary. The formulary is the list of covered drugs. 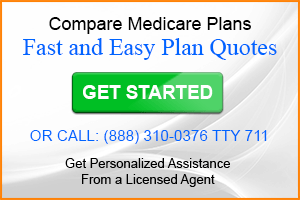 Most Medicare Advantage Plans with drug benefits included (MAPD) have a basic formulary. A basic formulary includes the most common drugs prescribed to people on Medicare. An expanded formulary often available as a stand-alone plan includes all of the drugs on a basic formulary as well as less common drugs (read more expensive) that are often prescribed for chronic conditions. If you choose a plan with an expanded formulry don’t expect a $34 premium. 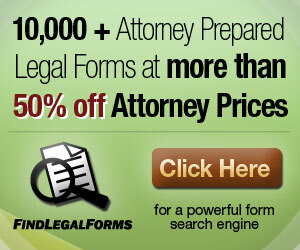 Part D plans with expanded formularies can be in excess of $100 per month. 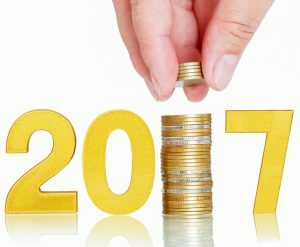 The Part D deductible for 2017 is $400 up from $360 in 2016. It’s important to note that not all Part D plans require you to pay the deductible. Some plans begin with first dollar coverage. But as $34 is the average Part D premium those plans in that range and below are likely to require the $400 deductible before any benefit is realized. Knowing that the deductible is increasing by $40 sort of negates the news of stable premiums for 2017. Co-payments and coinsurance can vary widely between plans. Drugs are usually placed in one of four tiers. tier 1 drugs are the most common generics and while some plans may include $0 co-payments others will require a small co-payment. Your cost sharing will increase with each tier. You should also also be aware that a drug may be placed in a different tier depending on the plan. When you reach the coverage gap will be the same for all plans. The coverage gap begins when you reach your initial coverage limit, which is $3700 in 2017, and ends when you have spent $4950. Due to legislation that closes the donut hole you will receive a 60% discount on brand name drugs while in thew donut hole. After you have spent $4950 you will enter the catastrophic portion of the Part D program. While in the catastrophic portion of the program you will pay 5% or $3.30 for generic or preferred drugs considered as multi-source drugs and 5% or $8.25 for all others in 2017. The first thing you need to understand related to getting the best 2017 Part D plan is that if your drugs are not included in the Part D formulary it’s not a good plan for you. The same plan may be ideal for someone else but you need to enroll in a plan that covers your drugs. If you are considering a Medicare Advantage Plan be certain to review the formulary. Remember most Advantage Plans include a basic formulary. When you compare Part D plans you should consider all aspects of the plan. The premium, whether or not it includes a deductible, the formulary and the out of pocket costs. If you plan on using the mail order pharmacy you should compare that as well. 2017 Part D Premiums may not have changed much from 2016 but there are a lot of other variables to consider.